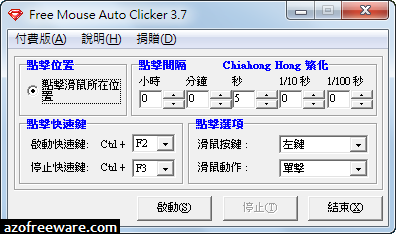 官方網站：ADVANCED MOUSE AUTO CLICKER Ltd.
Free Mouse Auto Clickeris a software that can free you from repeat mouse click work. It's simple but enough for normal use. And, It's totally FREE!